Seems like there are a multitude of different cleaning products for everything: floors, toilets, sinks, walls, dishes, countertops, clothes, furniture. And with so many choices, it’s easy to feel overwhelmed when selecting the best cleaning solutions – not just for the job but also for you and the health of the people you work with. Many conventional cleaning products are petroleum-based and are questionable when it comes to your health. 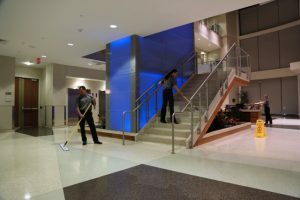 Thankfully, companies like Jani-King, the world’s largest commercial cleaning franchise company, have embraced using more natural products and methods of cleaning that will keep your work environment smelling fresh without side effects. All-purpose cleaners are your secret weapon for quickly wiping down everything from desks to door handles. But if your cleaner doesn’t have the EcoLogo certification indicating that it is enviro-friendly, it’s likely not sustainable. 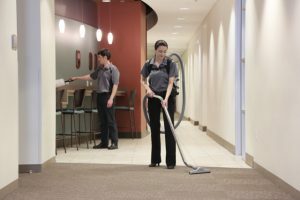 That also means your cleaner could be a contributing factor to allergies or illness in the workplace. Many enviro-friendly products are non-toxic, biodegradable, and made from renewable resources. 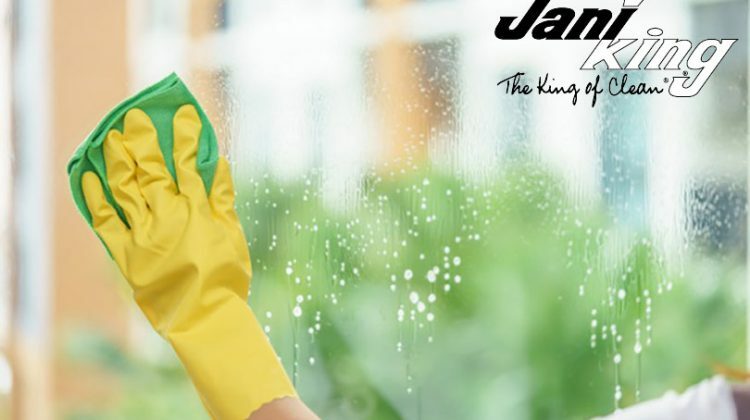 When it comes to toilet stains, odours, and messes, Jani-King says the general rule is the faster you can clean it up, the better. But that’s likely not going to happen in a busy workplace on a regular basis. Toilet bowl cleaners might be the harshest of all the cleaners you use; but you don’t have to resort to a product that may be hazardous to your health – especially it that product produces lingering toxic odours. There are plenty of safer green options out there not only smell wonderful but are safe for your septic tank too. The 5-second rule aside, you’re not likely to be eating off your office floors. But at least using EcoLogo or Enviro-friendly certified products can make you feel like you could! Again, there many green options to help you avoid the use of harsh chemicals – leaving your floors streak-free clean. By the way, when replacing your old cleaning products with new greener choices, don’t just pour them down the drain. Recycle them properly. If they’re too toxic for the office, they’re not good for the landfill either. Is everyone in your office sneezing? Carpets can attract an incredible amount of dirt and dust. The right vacuum cleaner can make all the difference in the world. Invest in a vacuum with a High-Efficiency Particulate Air or HEPA filter. It’s the best way to reduce spreading contaminants in the air. Consider getting a newer, bagless vacuum too. It produces less waste and is more efficient energy-wise. 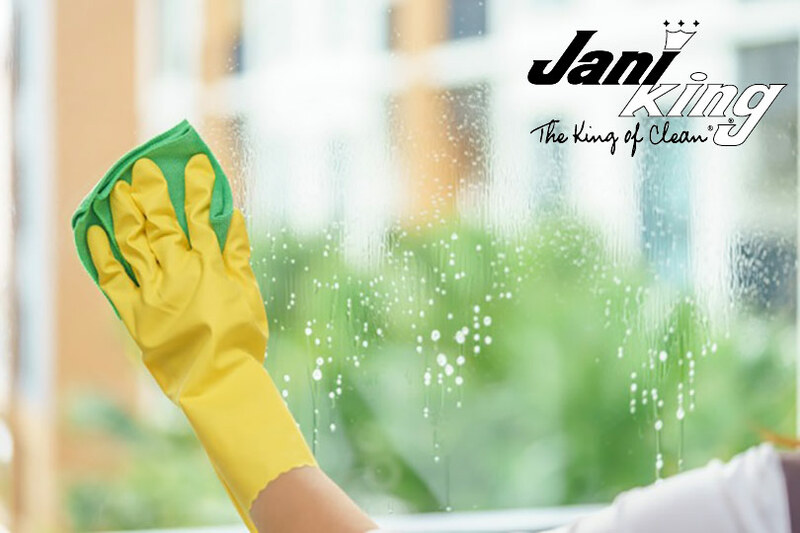 The green-clean experts at Jani-King recommend you do your research before you make your next enviro-conscious cleaning decision. Ask a professional what kind of products and practices they use to help create a clean, safe, environmentally friendly home or office. After all, cleaning isn’t something you should feel stressed about. The objective of cleaning is not just to clean… but to be happy too! In 2017, the Jani-King of Northern British Columbia Team proudly worked with the Canadian Red Cross during the BC forest fires providing professional cleaning services to the facilities where many evacuees were housed. In 2018, the Jani-King Team in Prince George have traded in their traditional Jani-King uniforms and have gone Red to raise awareness and funds for the great work of the Red Cross. Please give generously to the Canadian Red Cross.